Both of baseball's big off-season free agents are finally getting into the swing of things at spring training. 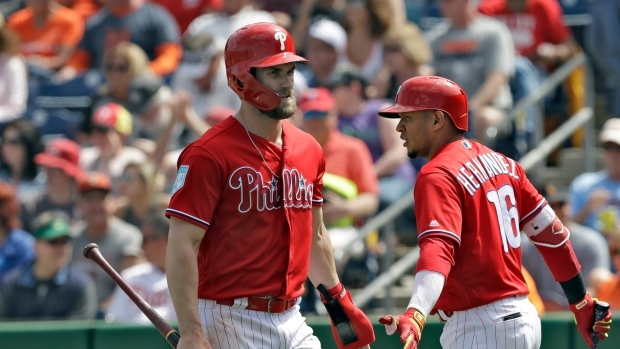 Harper lined a 97 mph fastball to centre field for a single in the fourth inning Wednesday against Detroit, snapping his 0-for-9 start to Grapefruit League play with the Phillies. The slugger jokingly gestured toward the dugout that he wanted to keep the ball as a souvenir.